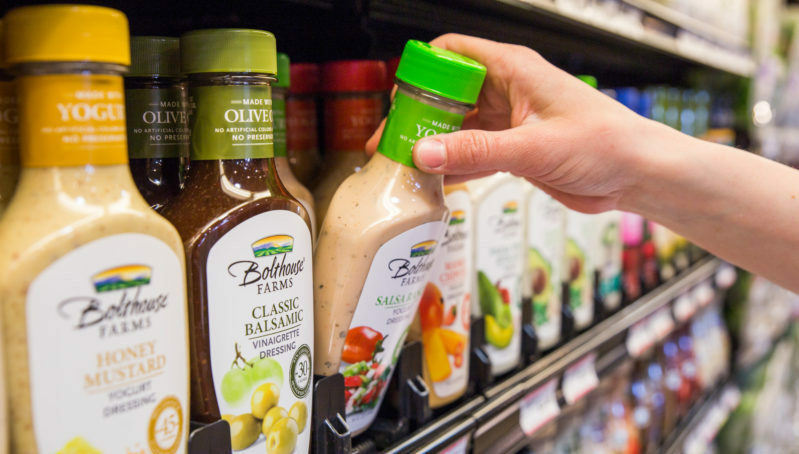 Categories such as premium juices and chilled salad dressings will often become disorganized on traditional shelves, requiring frequent conditioning from staff. 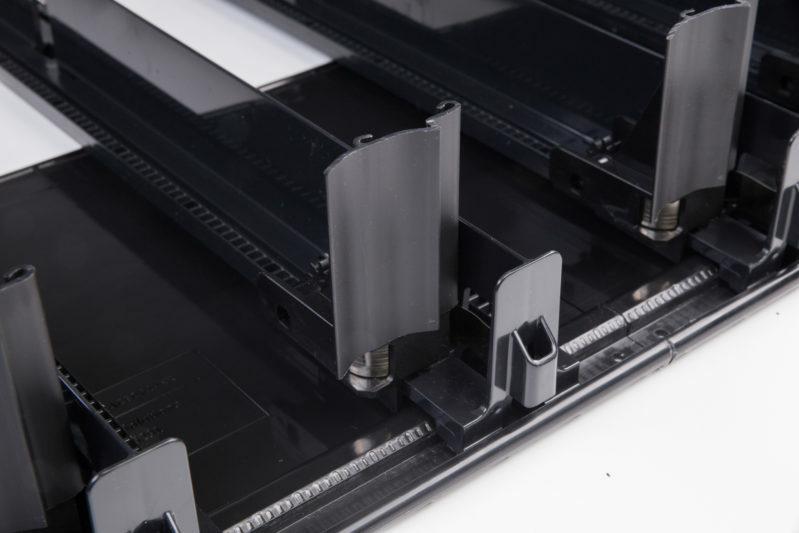 With their heavy weight and susceptibility to damage, these products need a unique solution that can keep them attractively organized and protected. 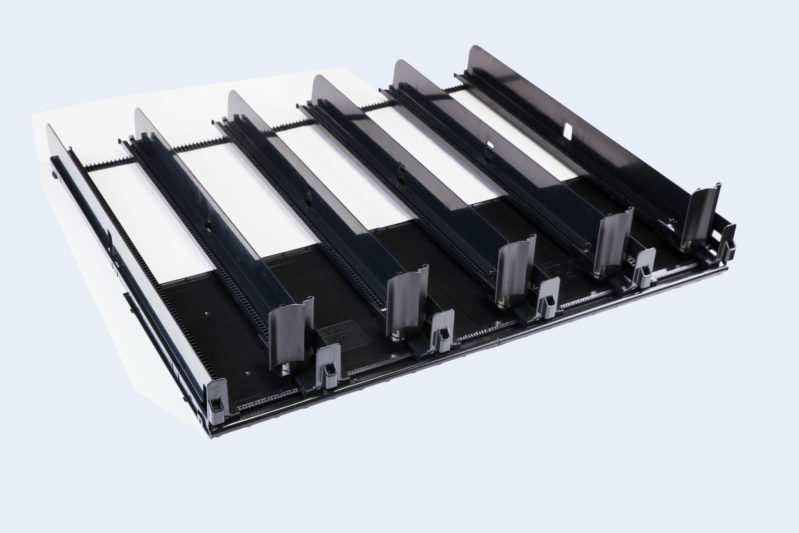 SpaceDriver® II helps solve these challenges with its unique, patent-pending controlled pusher movement. Products — light or heavy — are smoothly and gently front-faced without dislodging, toppling or breaking. The risk of false out-of-stocks due to misplaced products is greatly reduced. First-in, first-out inventory control is made easier, and date-digging and shelf-sweep theft is discouraged. Patent-pending damper design automatically regulates speed and force of pusher. Fully stocked or almost empty, products move forward in a controlled manner without dislodging or toppling fragile containers. Products stay front-faced and attractive for shoppers all hours of the day. Shoppers can quickly and easily find what they’re looking for. Tested in high-volume environments to withstand day-to-day demands. Constructed with thick, durable ABS plastic. With SpaceDriver II, your shelf aesthetics are significantly improved. Products are easier to find and less conditioning is required.